Dracaena are lovely tropical houseplants that can help set a calm and peaceful mood in your home. These plants are usually carefree, but a number of dracaena plant problems can weaken them so that they can’t carry out their normal life functions. 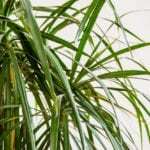 This article explains what to do when you see black stems on a dracaena plant. Why is Stem Turning Black on Corn Plant? 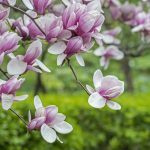 Most people forget to water their plants from time to time, but repeated improper watering over a long period of time can devastate a plant. You should let the soil become dry to touch and then water it enough that water drain out of the holes in the bottom of the pot. Drain completely and then empty the saucer under the pot. Poor or old potting soil doesn’t manage water properly. Change out the potting soil annually and every time you repot the plant. While you’re at it, make sure the drainage holes in the pot aren’t blocked. Inefficient potting soil can become a soggy mess that rots the plant. Watch for insects and mites that weaken plants and allow diseases to infect them. Mites are particularly troublesome for dracaena. Dracaenas are sensitive to fluoride, so it’s best to use filtered water. The first symptoms of fluoride toxicity are dark streaks and brown tips on leaves. As soon as you notice the stem turning black on corn plants or other dracaenas, plan to take cuttings. The parent plant will probably die, but your plant can live on through its offspring. You’ll need a glass of water and a sharp knife or pruning shears. Cut one or more six-inch piece of stem that has no black, smelly rot. Stand the stem in a glass of water with the lower two inches under water. Top off the water daily and change the water if it becomes cloudy. White nodules will form on the part of the stem that is below water, and roots will grow from these nodules. Buds will emerge from under the bark on the upper part of the stem. Another way to solve your dracaena plant problem is to root side shoots. This method is a lifesaver if you can’t find enough healthy stem. Check the shoots carefully to make sure there are no signs of rot. Place them in a pot of moist rooting medium and cover the pot with a plastic bag to increase the humidity. Remove the bag after the shoots take root and begin to grow.